Since when did February become a most exciting month to hang out in Haverhill? This past Saturday morning The Heartbeat of Haverhill headed downtown and stayed until the sun began its retreat. There was just so much to do. The Switchboard (an art gallery and community gathering spot) hosted a pop-up shop with Haverhill Farmers Market favorite Carolyn’s Farm Kitchen We filled up on samples of new products like fruit buckles, herbed biscuits, and brown bread and restocked our kitchen staple jam and some winter jam that is an apricot marmalade miracle mix of good flavors. From there we headed to Battlegrounds Coffee Company where a blood drive to restock low levels brought an even bigger crowd than usual. Decaf cappuccino for me. Thanks to Dana and Sal for helping fill the blood banks. The next major stop was the brand new and very novel Elevator Museum that opened at 145 Essex Street (no signage so walk in and go all the way to nearly the end of the hallway and look on your left.) It’s a fascinating collection of pieces of elevator machinery, memorabilia, and hardware collected by elevator buffs. The museum is headed by president Steve Comley and a team of directors, a treasurer and secretary who all work in the industry. Much of what you’ll find here came from an elevator museum that closed in New York and transferred its collection to this new endeavor. The Elevator Museum is still a work in progress so what you may have experienced on Saturday’s Grand Opening will be expanded, rearranged and redefined with placards providing historical connections. This may be the only Elevator Museum in the U.S.
A short jaunt to the building next door provided a creative outlet. Creatorpult (143 Essex Street) is a makerspace that offers monthly open houses, classes, custom 3D builds, and community in a variety of interesting media. THOH arrived wanting to learn about 3D Pens. The intent was to watch and photograph others, but a 10 year old girl named Jordyn stepped up to assuage my concerns and walked me through a process she had just learned minutes before. She made a lovely 3D flower. I gave it a try and one hour later had crafted a THOH puffy heart-shaped pendant. Certainly others around me were far more skilled at the use of the pens, owner Chris White was making a Valentine to the City of Haverhill, member Chris was making museum worthy flowers. Dave was making a walking talking nefarious castle on the 3D printer, that I could only barely comprehend. Each works in multiple media, whether it’s electric, crafts, engraving and more. Everyone was welcoming and helpful and well informed. When THOH asked “We just started a ban on plastic bags in Haverhill. Can you tell me why we are encouraging more people to craft knick knacks out of the stuff?” I learned this is a unique type of plant-based plastic that is biodegradable and compostable. And that was good news. I found using the 3D pen to be akin to using a glue gun; it is that simple, and while I have burned my fingers on a glue gun, I came away unscorched from this experiment. It was actually relaxing to work with the pen and mix colors, etc. The next time I might try to learn more about the 3D printer. It’s applications are fascinating. Chris helped a Haverhill High student produce a prosthetic arm. He also replicated a historic antique abacus he saw at Buttonwoods Museum. Member Dan is a true artist with the 3D pen. His flowers wer so realistic and will never fade. Owner Chris White and I show off our projects. This 3D printed abacus is based on an antique in the Buttonwoods Museum. Member Chris made the most stunning flowers. This was the third design of a small bouquet. Dave is a regular at the makerspace and today was working with a 3D printer to craft a walking talking castle. All text and photos (c)Alison Colby-Campbell with the exception of photos of Alison Colby-Campbell that were taken by Janet Hever and Dan at Creatorpult. 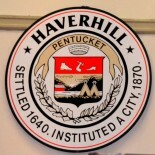 This entry was posted on February 10, 2019 by Brain4Rent/THoH in #thisisHaverhill, Alison Colby-Campbell, City of Haverhill MA, Cool things to do in Haverhill, Downtown Haverhill MA and tagged Alison Colby-Campbell, BattlegroundsCoffeeCompany, Carolyn's Farm Kitchen, CreatorPult, The ElevatorMuseum Haverhill, TheSwitchboardHaverhill.